BlytheLife.com » Happy Holidays from BlytheLife! A photo from the Christmas Blythe Meet. I hope all the good Blythes, Middies, and Petites were rewarded for their niceness this year with gifts for the holidays. If your dolls are anything like Sophie, they have some pretty extensive (and expensive!) wishlists, but I do try to get something for the doll family as a whole. 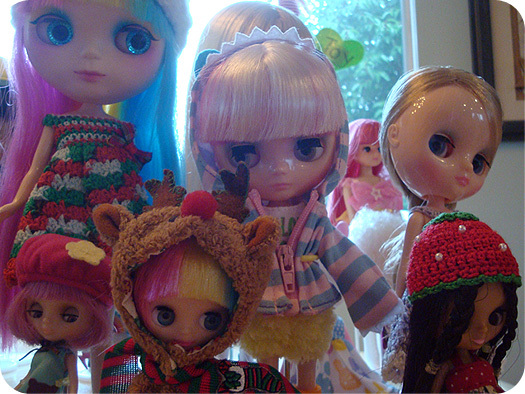 A photo from the Christmas Blythe Meet. Yellow Marshmallow? She’s mine. 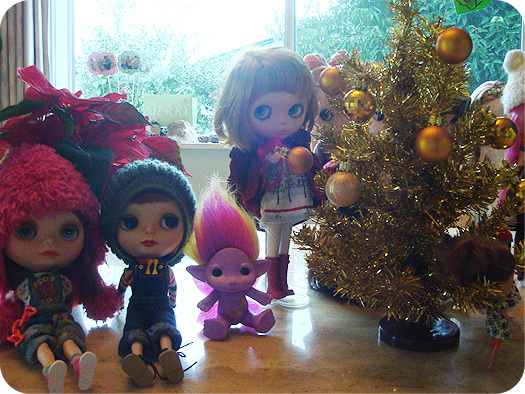 From all of the Blythes here, and myself, we wish you and yours the very best of the holidays and hope you are warm and happy this holiday season.